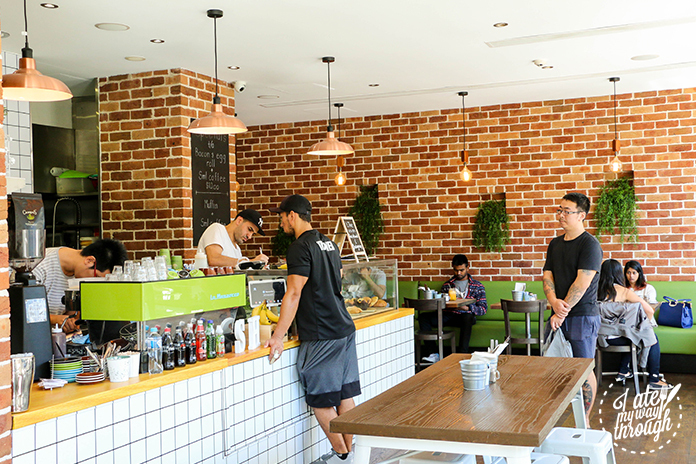 With plenty of eateries located in Parramatta, the decision to find the perfect place to have breakfast, brunch or lunch can be quite the challenge. Most would follow the crowd towards Church Street, the suburbs popular eating hub, to find their next meal. 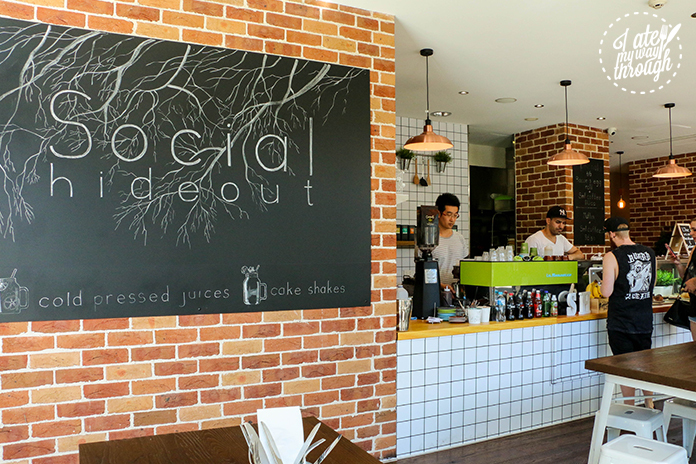 But if you’re looking for an excellent brunch experience, make your way to Social Hideout – an open air cafe located on Victoria Road, North Parramatta. When presented with the menu, you’ll find a variety of breakfast and lunch options to suit those looking for both a healthy or solid meal; which you can then pair off with a hot or cold beverage. For an all-out brunch experience, we decided to order a few meals on the menu. Poached eggs, bacon, sausages, hash brown, thyme mushrooms, roasted tomato and sourdough. If you’re craving a big breakfast, this will hit the spot. The hash was a nice golden colour, and was crispy on the outside and moist on the inside. The poached eggs, when split, perfectly revealed a runny yolk. This meal brought together quite ordinary ingredients to create a well-balanced breakfast board for you to enjoy. Poached eggs, avocado, baby spinach, thyme mushrooms, smoked tomato, turkey, smoked salmon and sourdough. 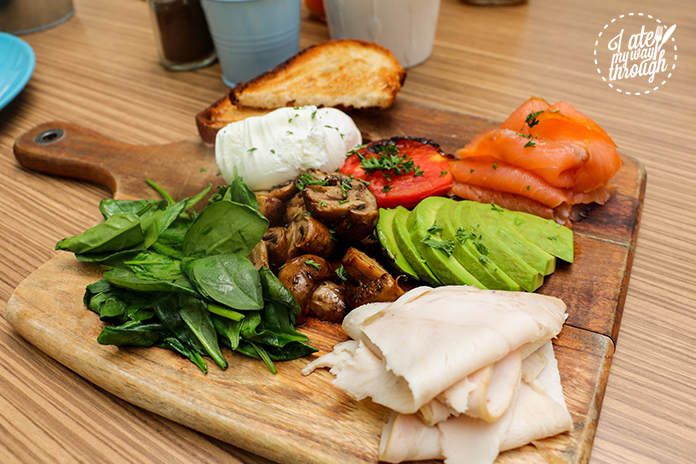 Featuring a bit of everything, I thought this board was the healthier version of the Social Hideout Breakfast. Like the board before, the poached eggs had a semi-soft yolk and the addition of the smoked salmon gave a bit of a luxurious touch. Trying bircher muesli for the first time, I wasn’t sure what to expect. I’m not one to try out healthy recipes, but I thoroughly enjoyed this! The yoghurt was nice and creamy. The pear and cranberries gave it a fruity, sweet taste, and the roasted almonds gave it that added crunch. Overall, a delicious and wholesome meal to start your day. As a burger lover, it would be silly of me to leave a place without trying one of the burgers on the menu. If it isn’t pulled pork, I usually order chicken – in this case, the Bad Boy Burger. 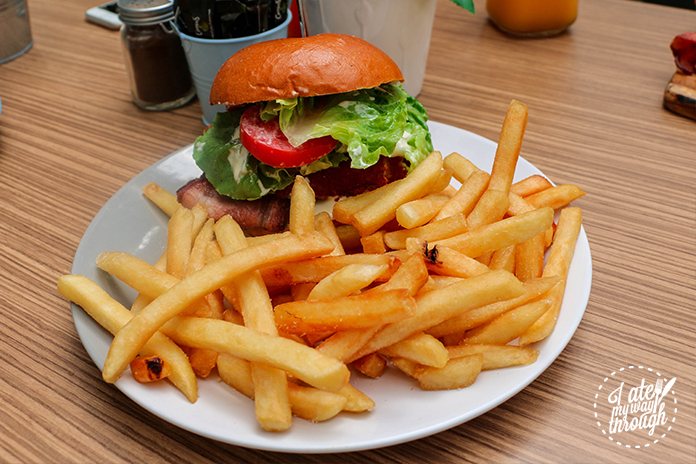 What I loved most about this burger was how the soft and slightly toasted milk buns complemented the crunchy textures of the crumbed chicken and bacon. I do prefer chicken to be soft and tender on my burgers, but if you like that crumbed ‘schnitzel-like’ texture then you’ll love this. 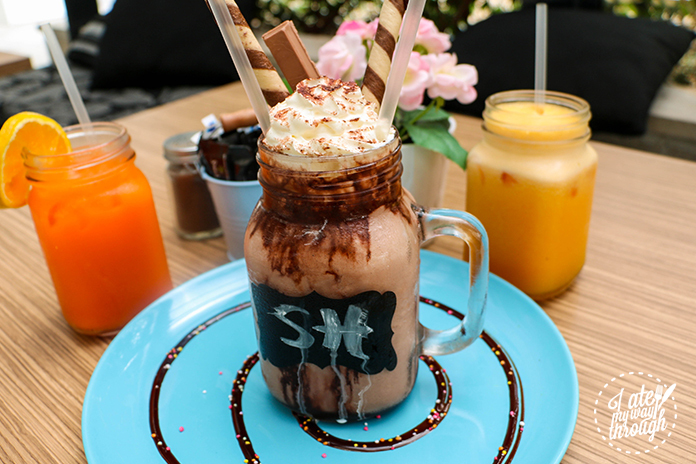 Your alternative to a typical milkshake, Social Hideout’s cake shakes are not to be missed. Instead of the usual ice cream and milk mix, these shakes blend cakes for a pleasant and decadent experience. There are three flavours to choose from – Chocolate Overload, Naughty Nutella and Red Velvet – and being a Nutella lover, the Naughty Nutella cake shake was for me. Since the cakes are blended, you’d assume a thicker texture. But the cakes are blended so well that all your left to enjoy is a light, smooth and creamy taste in your mouth. 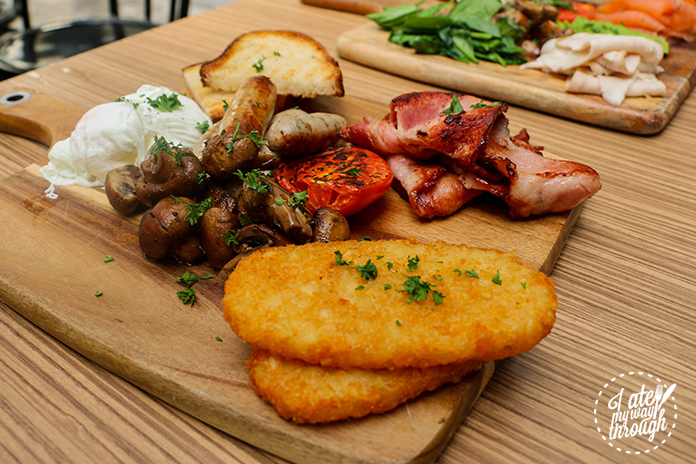 Breakfast is served all day until 2:30pm, with the lunch menu available from 11:30am. 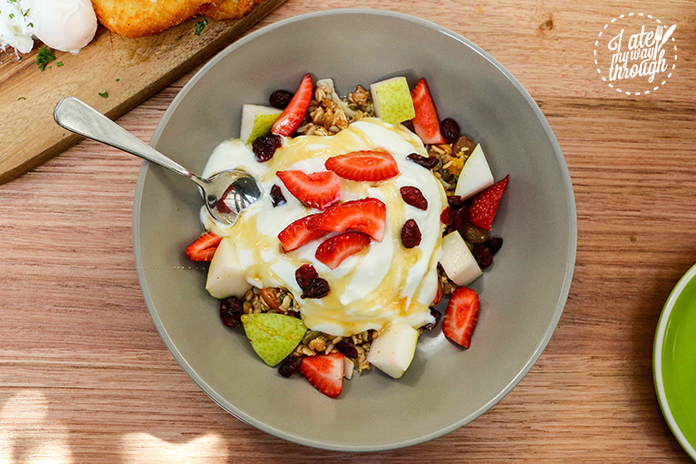 bircher muesli looks so healthy. I love it!